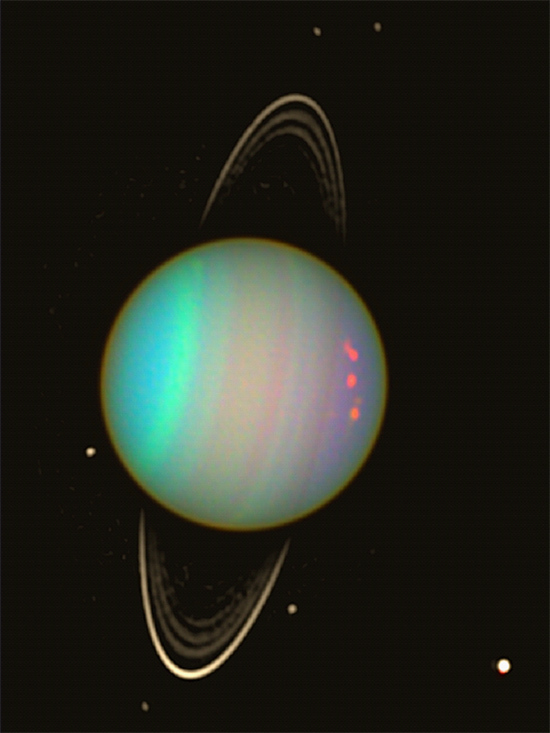 Uranus recently erupted with a new bright region in its lower latitudes. Could electrical effects be responsible? The planet Uranus revolves around the Sun at a mean orbital radius of 2,870,990,000 kilometers, 19 times as far as the Earth. Of course, its most exotic attribute is its inclination to the plane of the ecliptic: 98 degrees past vertical. Astrophysicists have always found the configuration difficult to explain, since their models of Solar System formation demand a distribution of angular momentum from the “primordial nebular cloud” that precludes a planet lying on its side. Their only recourse is to suggest that something hit the giant planet with enough energy to tip it over. The average temperature on Uranus is -224 Celsius, giving it the distinction of being the coldest planet in the Solar System—colder than Neptune, although Neptune is half again the distance from the Sun. Why Uranus is so cold remains a mystery to planetary scientists. Uranus possesses a magnetic field, but unlike its two large siblings, Jupiter and Saturn, whose magnetic poles are mostly aligned with their rotational axes, the field is slanted from Uranus’s rotational axis by 60 degrees. This fact also presents something of a conundrum for conventional cosmogony. Why Uranus (and Neptune) have relatively weak magnetic fields is not easily explained. Standard theory expects a conducting core, probably composed of metallic hydrogen, to act as a dynamo to generate the field. An off-center core would be difficult to explain. However, in an Electric Universe model, an internal dynamo is not necessary. A probable scenario is that rotation of charged particles in the giant planet’s plasma gives rise to the field: a spinning, electrically charged body will induce a magnetic field. Uranus is 51120 kilometers in diameter, rotating in approximately 18 hours, so the rotational dynamics of its electrically charged atmosphere produces a current sheet between it and Miranda, one of its small moons. The Uranian magnetosphere encompasses its entire family of moons and its ring system, as well. According to a recent press release, a large bright region has appeared near the lower latitudes. Images taken in near infrared wavelengths by the Gemini North Telescope reveal what scientists are calling an “anvil cloud of methane” rising up from the depths into the sunshine. Reflections from methane ice crystals are supposed to be causing the bright patch. 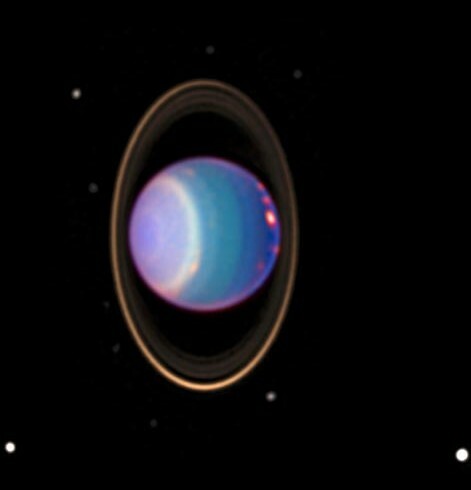 Over the years, the Hubble Space Telescope has observed many bright spots on Uranus. They appear similar to the bright spots seen in Jupiter’s southern latitudes, as well as in its polar aurorae. The four Galilean moons all leave their marks in Jupiter’s aurora, so the same thing could be happening on Uranus. 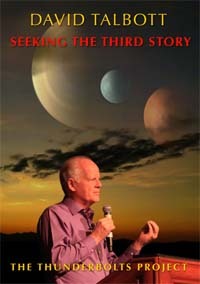 Perhaps this explanation suits the observations on Uranus. Instead of convection-powered thunderheads of cold methane ice, the spots are jets from intense plasma discharges.